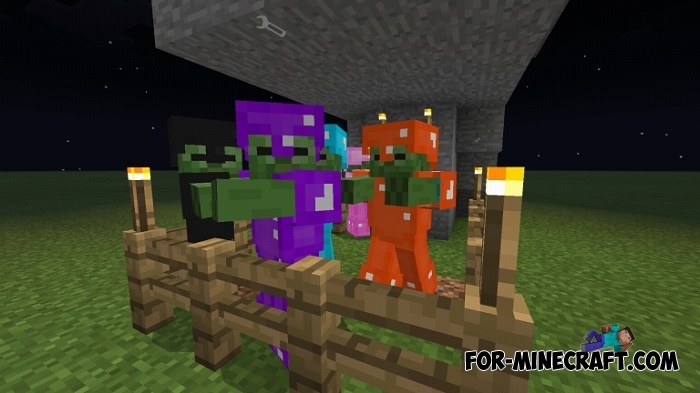 Individuality in Minecraft Bedrock is a very important part of the game and in reality every player wants to become unique. For this, there are various possibilities such as dying armor, using skins and other functions. If we talk about the first one, at the moment only leather armor can change its color with the help of dyes. To correct this injustice and to expand the original possibilities, the Dyeable Armor Mod adds new crafting recipes to obtain a multi-colored armor. 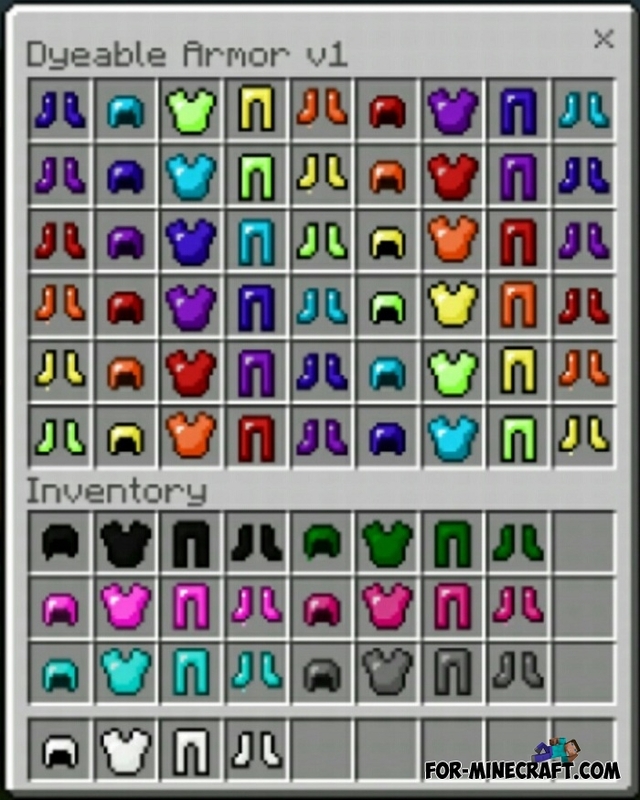 How to dye Minecraft PE armor? It's even easier than using cauldrons. You only need to take the dye and armor element and combine them in the crafting table (see below). At the same instant, any helmet, chestplate, leggings or boots will be the color of the dye. In fact, the Dyeable Armor Mod is more than 100 new types of armor, more accurately the armor properties remain the same, but not the color. How to install the Dyeable Armor mod? No credit?.......I don't remember giving anyone permission to repost my mod with a different download link.